Patchwork Parcel Quilt Kit is a monthly recurring quilting subscription. Every month you will receive a pattern, batting, any special notions, and all the fabric (including backing) needed to complete a small quilting/sewing project - delivered to your door! 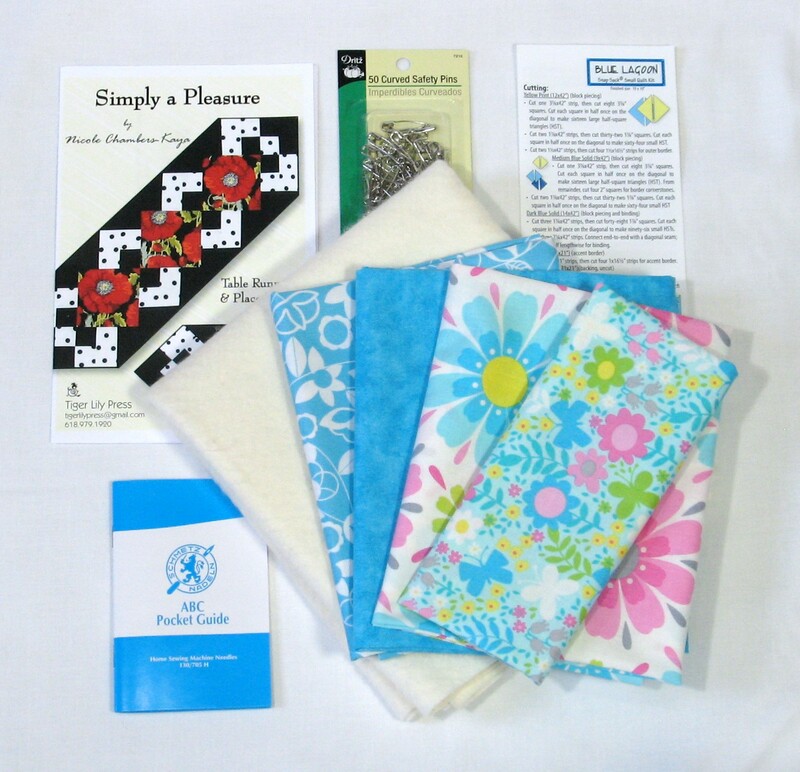 Everything you need to complete a small quilting/sewing project. Additionally, all newbie subscribers receive a free 4.5" square ruler! Patterns are carefully reviewed and fabrics are all quilt-shop quality fabrics. Value of the kit is between $45 and $55 and shipping is a flat rate of $8.00. 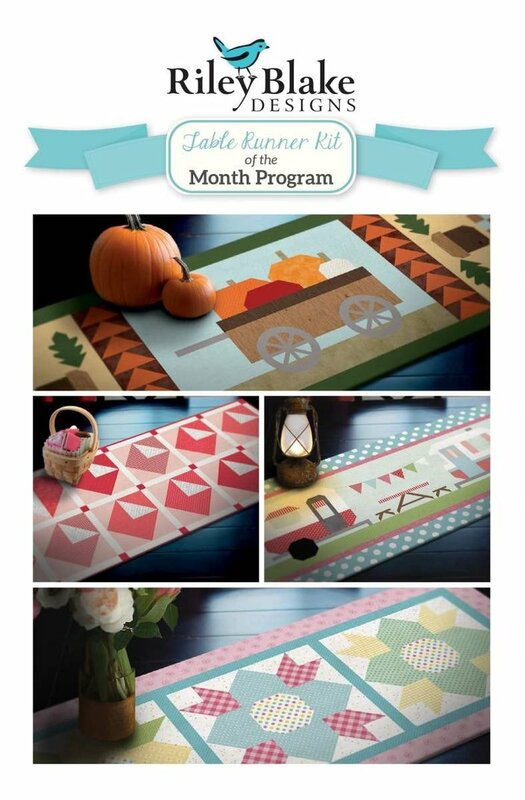 Whether you’re dressing up the dinner table for a festive family feast or looking to add some seasonal personality to your décor, the Table Runner of the Month Club from Riley Blake Designs is the perfect way to make a big splash with a small change. Each beautiful kit comes in a keepsake box, contains a pattern, fabric for the top and binding, and coordinates with the months of the year. At the end of the program, you’ll have 12 gorgeous table runners! Prepay for all 12 months and get a screaming deal - 12 months for the price of 10! Patchwork Parcel's Full Yard Cuts Fabric Bundle is a monthly recurring quilting fabric subscription featuring traditional coordinating florals/paisleys/tone-on-tone fabrics. 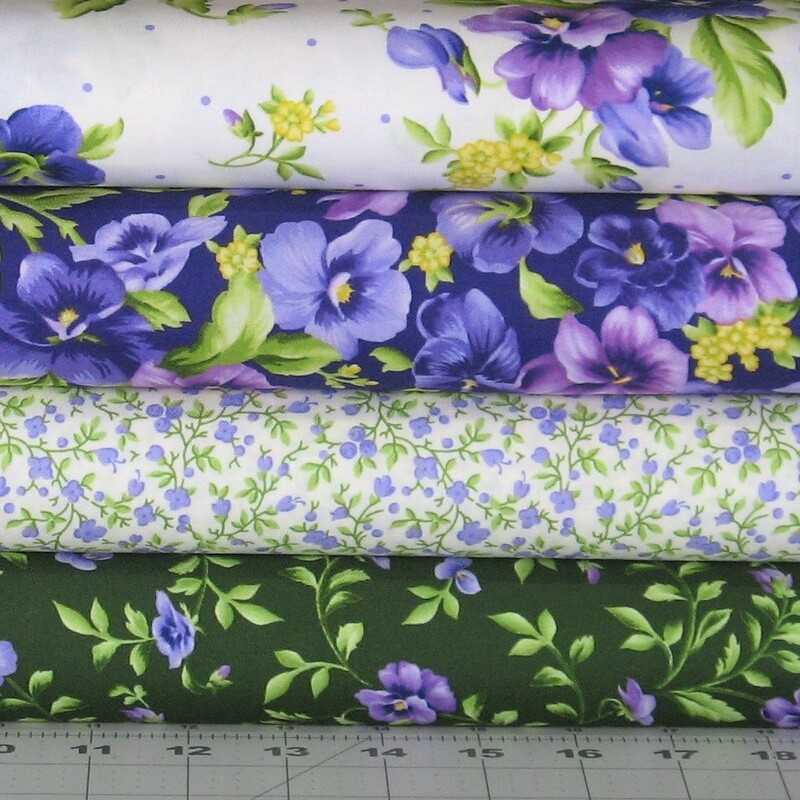 Every month you will receive a bundle of 4 coordinating fabrics - one yard each - plus a pattern. Fabrics are all quilt-shop quality fabrics. USPS Priority Mail shipping is a flat rate of $8.00. Patchwork Parcel's Half Yard Cuts Fabric Bundle is a monthly recurring quilting fabric subscription featuring traditional coordinating florals/paisleys/tone-on-tone fabrics. Every month you will receive a bundle of 4 coordinating fabrics - one-half yard each - plus a pattern. Fabrics are all quilt-shop quality fabrics. USPS First Class Mail shipping is a flat rate of $6.00.